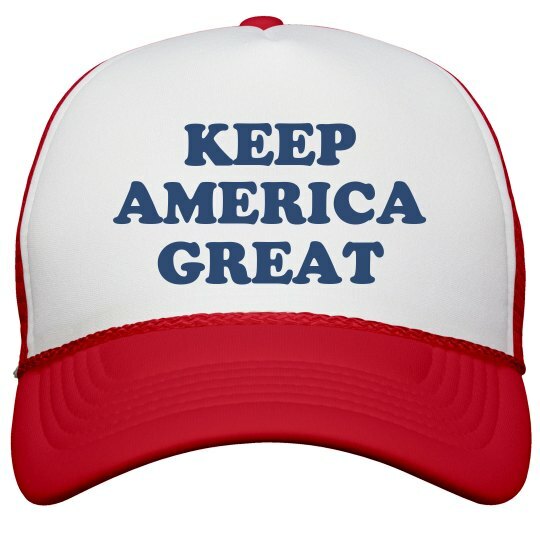 Keep America Great! Donald trump, our new president, has a new slogan now that he's our fearless leader. Go USA! Go America! Go Trump! This trucker hat will show your allegiance to President Trump!